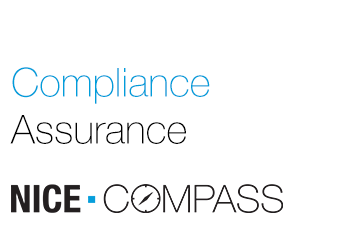 NICE COMPASS is a complete solution that facilitates the automation of compliance assurance. NICE COMPASS reduces the risk of a regulatory violation or audit by verifying all endpoints are recording prior to the start of the trading day and proactively identifying unrecorded calls. It also significantly increases efficiency by automating litigation hold requests, retention periods for all regions and lines of business, and moves, adds and changes (MAC). The understanding of a regulated users’ communication activities is key to a firm’s ability to meet the stringent regulatory demands. NICE COMPASS helps firms achieve an operating environment that protects customers and the firm’s reputation more efficiently. By leveraging NICE Trade Recording (NTR), implementation of NICE COMPASS is quick and easy with minimal disruption. NICE COMPASS does what can’t be done manually – It verifies that every user endpoint is connected and recording. This reduces the risk of being fined for not recording all required calls. 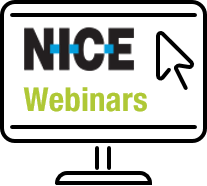 In one automated process, NICE COMPASS initiates a test call from each user endpoint that gets recorded. It then verifies that the call is captured in the NTR and NICE COMPASS databases. The results, including any failed recording checks, are displayed in the NICE COMPASS dashboard. NICE COMPASS also confirms the call quality, meta data, and users. Voice recording is not always perfect. Sometimes calls that should be recorded during the trading day are not recorded. With NICE COMPASS, firms know immediately when this happens. NICE COMPASS enables a proactive approach in which firms can report the issue to regulators immediately and minimize the impact. NICE COMPASS also demonstrates to regulators and internal auditors that firms have a robust program to ensure that all the calls required to be recorded are captured. NICE COMPASS allows firms to consistently audit rules for recording, archiving and media retention, destruction processes, calls actioned, and calls on litigation hold (by time, users and durations). The reporting and reconciliation of the information provides evidence that the full recording process is being fully adhered to continually. NICE COMPASS saves time by automating essential tasks such as executing litigation holds, call extractions, MACs and setting retention periods. Selecting calls for litigation hold one at a time is inefficient and time consuming. NICE COMPASS solves this problem by enabling you to create rules that automatically puts holds on hundreds of calls at once and automates the call extraction process. Extracted calls can be bulk downloaded, enabling firms to respond quickly to requests for calls by regulators and internal auditors. Ensuring the right individuals are recorded is a challenge given the constant flow of new hires, departures, promotions and moves to other lines of business. NICE COMPASS reduces the risk and cost of MACs by programmatically managing whom should be recorded, their retention period and permissions. 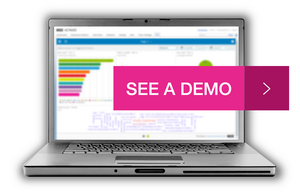 NICE COMPASS’ reports provide actionable insights to better manage capacity, optimize resources and reduce costs. Firms can review users being recorded, calls on litigation hold, calls aging off the system, archiving statistics, channel utilization and more. NICE COMPASS provides for the easy export of data to Excel or CSV for further analysis or integration with internal reporting programs.